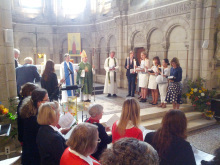 The Confirmation Service was led by The Suffragan Bishop of Europe and was exciting for Bordeaux for a number of reasons. Firstly, it has been many years since we hosted a Confirmation and secondly because five of the candidates were from Bordeaux! 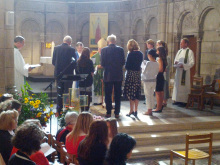 The Service marked an important milestone in the journey of faith for some members of our congregation. Congratulations to our new confirmads Nyere, Yasmin, Rhian, Siu-Kuen and Nicholas!! 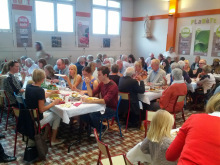 The service was followed by a ‘Bring and Share Lunch’ with over 130 from Bordeaux and our fellow churches in the Aquitaine Chaplaincy all ‘bringing’ and ‘sharing’!